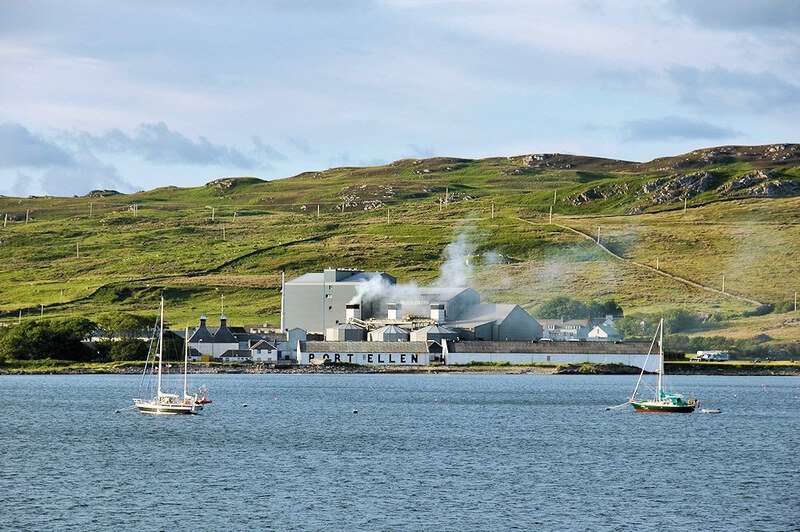 A view of the Port Ellen Maltings from the ferry arriving on Islay. Two visiting sailing yachts are moored in the bay. Also visible the old warehouses and remaining buildings of the long closed Port Ellen distillery. This is an older picture, the low chimneys have since been replaced by a much higher one to reduce the smoke going into the surrounding houses. This entry was posted in Beaches, Distilleries, Landscape, Repost, Sunny Weather, Village and tagged ferry, Islay, Port Ellen, Port Ellen Distillery, Port Ellen Maltings, sailing yacht by Armin Grewe. Bookmark the permalink.